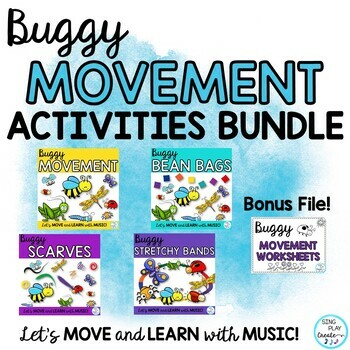 BUGGY MOVEMENT ACTIVITIES with Bean Bags, Scarves, Stretchy Bands and Movement Cards are perfect for springtime music class and preschool through 2nd grade activities. Picture your students stretching, bouncing, hopping, marching, twisting, wiggling, playing games, as they create, express and demonstrate music concepts through movement activities. Get the Bundle Bonus File with Coloring and Worksheet Activities. Best for Preschool through 2nd grade ages. 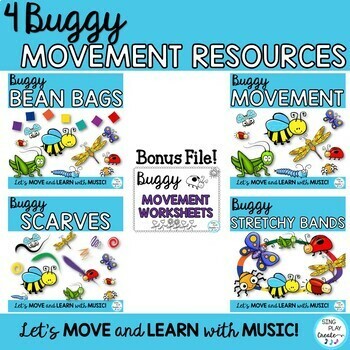 Connect concepts with music and movement. 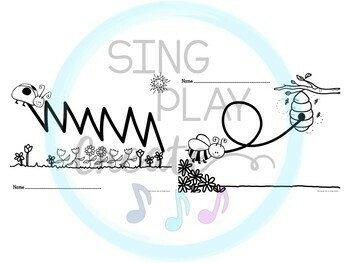 Combine this resource with any and all of your springtime favorite music class lessons. 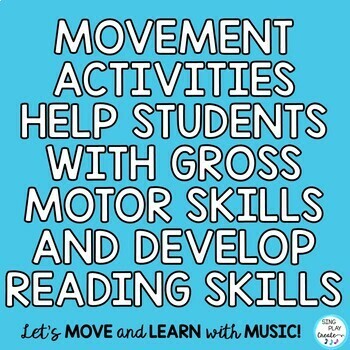 Add in a game, movement activity to your lesson to keep students engaged. Use with nursery rhymes, folk tales, Carnival of the Animals, Units. Perfect for a Sub Tub! The bean bag activities have direction cards. Stations- Print the lovely movement cards and let students show you the moves! Be sure to get the BONUS FILE! Create your own motion path, color and share with your class. Use this activity in stations. Perfect for a sub tub! Contact me in the Q&A section of the store.